Buena situación y bien equipado. This beautiful two bedroom apartment is situated in the Sants district of Barcelona, in a brand new building, less than one minute away from the Hostafrancs Metro Station. Just a short walk away you will find Plaça Espanya and the rest of the city is easily accessible by public transport including metro. This location is ideal for those looking to expore the very best of Barcelona. It’s also very near the Magic Fountain of Montjuïc, the Fira de Barcelona exhibition center and the main railway station of the city, Sants. Las Arenas is also nearby, a former bullring converted in to a convenient shopping centre. This apartment can accommodate up to six people with two double bedrooms, one with a double bed and the other with an individual bed and an individual sofa bed. A double sofa bed can also be found in the living area. It also has a spacious bathroom with a toilet, sink and a bathtub to relax after a long day in the city. The living area is stylish and contains a dining table, sofa and a TV. Guests can go online using this apartments Internet connection. It also has two cozy balconies, one with a table and chairs where you can have lunch or dinner. Budding chefs can try their hand at some locally inspired dishes in the fully-equipped kitchen. A Nespresso coffee maker can also be provide upon request. 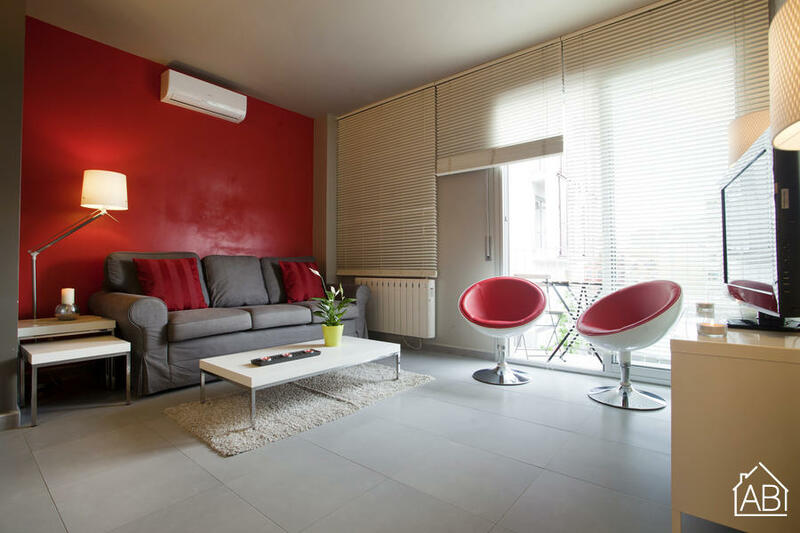 This apartment is complete with air conditioning and heating making it the perfect spot to be during any season of the year. This Barcelona apartment guarantees a comfortable stay in the city.